Our featured property this month is a 3 bedroom, 3.5 bath home in the Ocean Ridge community of Ocean Isle Beach Main. This home is just perfect for raising that growing family. Built in 2004 it sits on a roomy .35 acres of land where you can spread out and the kids can play outside to their heart’s content. The neighborhood has street lights, sidewalks and provides a safe environment for walking or bike riding. This single story home offers a spacious 3,000 square feet of open living space ideal for those that can’t or don’t want to deal with stairs. From the moment you walk into the oversized entry this home will take your breath away. Custom built with the highest quality features and using high end construction, this house is one of the finest in the neighborhood. Designed and built by Tom Coyte, a premiere North Carolina builder, the home boasts features such as granite countertops, custom cabinetry, high end stainless steel appliances, rich wood floors, a gas fireplace and soaring ceilings unlike any you’ve likely seen before. The home offers elegant architectural touches and a fabulous open floor plan that provides lovely pond and golf course views. Floor to ceiling windows add to the spaciousness of this home as well as contributes to bringing the outdoors inside. A stunning kitchen opens to the living areas and the great room. Ceiling fans, a Whirlpool tub and a master located on the ground level are additional features that make this home worth taking a closer look at. Give Re/Max at the Beach a call today at (910) 842-8686 and we’ll set up a mutually agreeable time to meet and tour this gorgeous home. So you’ve been working too hard and there’s no end in sight? Never did take that vacation with your family this summer? Just can’t afford to get away, not even for a weekend? We have some great ideas for things to do in the area that won’t involve packing suitcases, going long distances, or spending tons of money. We call these Vacation Hacks – It’s a cheat sheet for Ocean Isle Beach local events and some in the surrounding areas taking place that are sure to give you a good time without ever having to leave home. Come out and enjoy Friday Night Music at Silver Coast Winery will be held from 4-6 p.m. on October 24 and 31. John Cubito will be performing in the art gallery at the winery located at 6680 Barbeque Rd., Ocean Isle Beach. Admission is free. On the last full weekend in October, the Holden Beach Merchants Association will sponsor the “NC Festival by the Sea.” Beginning on Saturday, October 25 and running through Sunday, this 2-day event is kicked off with a parade down the Holden Beach Causeway. Arts and Crafts vendors are open from 9:00 a.m. to 5:00 p.m. on Saturday and 9:00 a.m. to 4:00 p.m. on Sunday. For the competitive people, there is a horseshoe tournament and a sandcastle building contest. Children will enjoy face painting, huge kites flying overhead and the children’s fun areas. There is live musical entertainment both days at the Holden Beach’s Pavilion. The Brunswick Sheriff’s Office Fall Festival is being held from 6 to 9 p.m. in Bolivia, NC., on Thursday, October 30 this year. This event is free and includes haunted hay rides, a cake walk, pumpkin decorating, face painting, candy, hot dogs and drinks. Come join us at the Brunswick County Government Complex Walking Trail for lots of fun for the whole family! The Brunswick County Government Complex is located at 45 Courthouse Drive, Bolivia, NC. Bikes, Boots and BBQ is a fun filled day being held from 10 a.m. to 6 p.m. on November 1 at the Brunswick Riverwalk at Belville, 580 River Road, Belville, NC. There will be a judged Motorcycle Show and Battle of the Praise Team Bands. Wander the park among arts & crafts, food and business vendors. Let the children play on the park’s outdoor playground set. The North Carolina Pork Council will judge the Professional Division whole hog BBQ Cook–off. Sauce entered by contestants will be judged by local celebrities. Enjoy the Main Stage – Scott Gales, Chilin Dixie, and Masonboro Sound. Sample the BBQ plates for sale and dine in the Beer & Wine Garden. Admission: $2.00 per adult, children age 12 and under free. We have come up with three great reasons why this particular property at 1782 Salt Marsh Circle Southwest stands out from among all the other Brunswick Isle real estate we’re offering and is really worth your consideration. What we mean by that is you will save a lot of money by purchasing an Ocean Isle Beach short sale property. This home will be purchased from the bank for whatever they will accept for it. But don’t think it’s anything less than a “regular” house because it’s actually so much more! Everything has been redone with class and style before it went into Short Sale status. It’s a California-ranch style home that sits on two lots and overlooks a pond. You’re sure to appreciate the open floor plan, separate wings offering privacy, large kitchen with river stone fireplace, and spacious master suite. Amenities include a solarium, Jacuzzi, courtyard with fountain, great room, elm wood flooring, built in bookcases and desks and a private multi-level deck with gas firepit. This is a gated community on the Intracoastal Waterway that is located on the mainland of Ocean Isle Beach, NC. Enjoy large, mature southern oaks as well as ocean, marsh and island views. You’ll have your own swimming pool, pier on the ICW, tennis and clubhouse privileges, plus the plantation offers boat and RV storage. There’s no place better to live than at the beach if you’re a fisherman, boater, golf lover, or into water sports of any kind. Ocean Isle Beach is one of the three South Brunswick Islands off the coast of North Carolina. The area offers plenty of local events and year round entertainment venues including movie theaters, miniature golf, and rentals of all kinds. This friendly beach community is a wonderful place to raise a family or settle down in after retirement. If we can assist you with finding your next beach home please do not hesitate to call Re/Max at the Beach at 910-842-8686 or toll free at 800-360-9770. We’d be happy to talk with you about this short sale property or any others we have available. The popular Strawberry & Wine Fest will take place from 12 noon until 6 p.m. at the Silver Coast Winery in Ocean Isle Beach on Saturday, May 3, 2014. Come out and join us for a fun-filled day of wine, scrumptious food, lively entertainment, and many craft vendors. Entertainment will be provided all day by The Imitations -- a favorite group among the Carolinas. Known for their wide assortment of music, they’ll have you on your feet dancing up a storm in no time at all. Dance lessons will be available with Calabash Flash. Strawberries are the main fare of the festival -- chocolate covered, with short cake, and floating in a glass of wine. You’re sure to enjoy them all. Don’t pass up Jerome’s Barbeque for some tasty barbecued food or the wine tastings either! Take the time for a relaxed stroll around the groups to visit the craft vendors and you'll discover many authors, artists, and crafts galore. There will be jewelry, pottery, art, photography and more. Winery tours will be held at 1 and 3 p.m. Organized by the Old Bridge Preservation Society the event will be held rain or shine so come prepared! There is a $5 admission fee. Silver Coast Winery is located at 6680 Barbeque Rd., Ocean Isle Beach. No coolers, outside beverage or pets please. For more information call 910-287-2800. The Silver Coast Winery is owned by Dr. “Bud” and Maryann Azzato. They make all of their own wines that are modeled after traditional, classic and European styles. Wines are produced in-house by Dana Keeler, an award winning winemaker, using regionally grown grapes. Located in a beautiful woodland setting, the Silver Coast Winery in Ocean Isle Beach is perfect for wedding ceremonies, receptions and rehearsal dinners of any size. There is also a Silver Coast Winery Tasting Room located in downtown Southport, NC. There you can enjoy both wine and beer tastings as well as browse a gift shop and art gallery. If you’re looking for some great deals on foreclosed properties where you can save a bundle you won’t find any better than the foreclosures in Ocean Isle Beach that we have at Re/Max at the Beach. When you’re in the market for buying real estate at the lowest prices and get the best deal definitely consider foreclosure properties. Take a look at this gorgeous home among the properties for sale located in the gated community of Bent Tree Plantation. The natural beauty of this home, the superb architectural features, and the professional landscaping all meld together to provide luxurious living for anyone savvy enough to make this purchase. 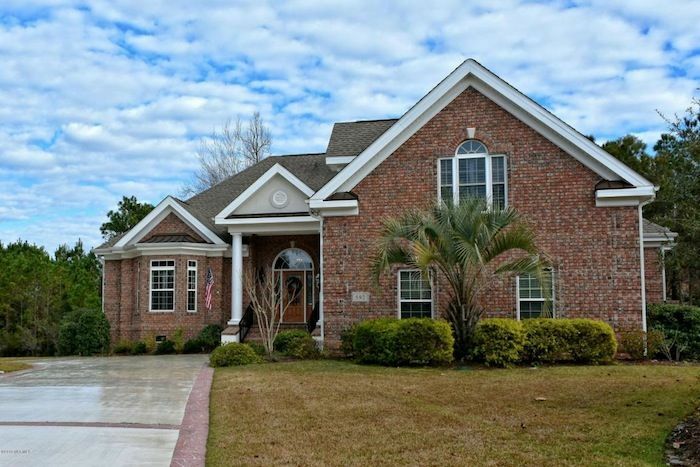 This 4,000+ square foot home has 3 bedrooms and 3.5 baths. The home has two living/family rooms with 10 ft. ceilings and fireplaces. The open kitchen has a large bar and plenty of custom cabinets. A large master suite is conveniently located on the first floor and has walk-in closets and sunken garden tub in the master bath. 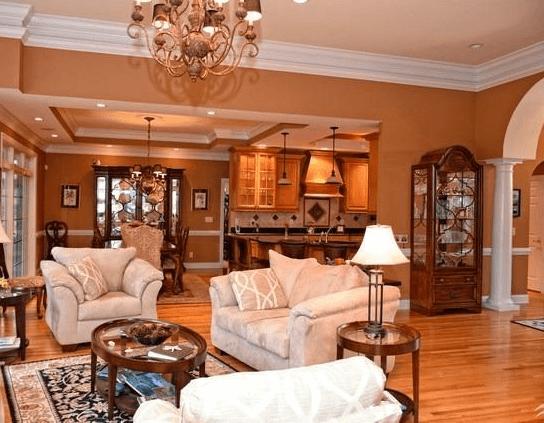 You’re sure to enjoy both formal living and formal dining rooms. Located on a huge lot of 1.0926 acres that include Majestic Live Oak trees and mature landscaping. Bonus detached outer building with additional kitchen and workshop. Lifestyle amenities offered at Bent Tree Plantation are a community clubhouse directly on the Intracoastal Waterway, pool, hot tub, waterway docks, boat ramps and tennis courts. In addition there’s a secure boat and RV storage lot. To find a custom home as spacious and luxurious as this among foreclosures is rare indeed so act fast if you’re interested. We be happy to take you around to see it at a time that is convenient for you. Please give us a call at 910-842-8686 or toll free at 800-360-9770 to schedule an appointment. We can also be reached through our Contact page on our website. Life in Ocean Isle Beach, North Carolina, provides numerous activities and recreational opportunities all year round. With the temperate weather this area has you can enjoy golfing all year long. Being located between Wilmington, NC, and Myrtle Beach, SC, has many advantages. You’ll have easy access to theater, live concerts, educational programs, children’s events and more! If you’ve always visited the Ocean Isle Beach area and enjoyed family vacations here, maybe it’s time to think about a second home. Are you making retirement plans and want to relocate? We have many Ocean Isle Beach homes for sale that would make perfect dwellings no matter how many are in your family. View our homes for sale right here on our website and you'll see what we mean! There's good reason why beach living is ranked nationally as one of the most preferred places for people to spend their retirement years. For those that prefer a home on the mainland, take a look at this 3 bedroom, 2 bath home in the Brick Landing neighborhood. This spacious home boasts a full 2,101 sq ft of living space and sits on over a half an acre of land. You’ll enjoy features like hard wood flooring, chair rails and crown molding, a sunken living room with a gas log fireplace you’re sure to love, and a formal dining room. Spend hours relaxing on the side deck or enjoying the spacious kitchen where you’ll have plenty of room for meal prep and entertaining friends and family. There’s a large fenced in rear yard that is perfect for a garden, swimming pool or just to keep your pets contained. The Ocean Isle Beach homes for sale currently on the market include condos and single family homes that range in price starting at $88.7k and go upwards to $365k. It’s here where you’ll discover some of the best coastal views in the area. You’ll have your choice of homes with open floor plans, spacious rooms with high ceilings offering phenomenal views from every window, fireplaces, large covered porches and open sun decks. Many homes have walk in closets with changing areas, master baths and Whirlpool tubs. Enjoy the outdoor amenities of your own private swimming pool, grilling stations, and plenty of parking for when you’re entertaining. Contact us at Re/Max at the Beach, 910-842-8686 or toll free at 800-360-9770, and we’ll be happy to help you find an Ocean Isle Beach home that's just perfect for you and your family! Are You Ready to Buy That Piece of OIB Real Estate? If you’re thinking about buying a piece of Ocean Isle Beach real estate for the first time but aren’t sure if you’re completely ready, it’s important to learn as much as you possibly can about the property itself and what’s involved in the process of making a real estate purchase. This is important whether you’re buying a property that will be your first home or you’re buying real estate for investment purposes. It’s critical to know how much real estate in Ocean Isle Beach you can afford and whether you’re financially prepared to make the purchase. A bank or other mortgage lender will be happy to sit down with you and assess whether you pre-qualify for a mortgage and for how much. A lender will also describe the different types of financing available to you and the current interest rates. This is important information to know before you begin looking at any Ocean Isle Beach real estate for sale. It will allow you to look in the price range that you are qualified to purchase. The mortgage lender will require that an appraisal and a property inspection be done on any Ocean Isle Beach residential real estate you are considering. This is a safeguard to protect you from purchasing a home for more than it’s worth or a home with problems that you can’t see just by looking at it. An appraisal is intended to assess the value of a home based on the value of comparable homes in the neighborhood to establish the value of the collateral that will secure the mortgage loan if approved. All mortgage lenders require an appraisal to confirm that the home and the value of the home meet their requirements. A home inspection involves a more detailed and specific assessment of the condition of all elements of a home, from structural elements to plumbing, heating and air conditioning. A home inspection ensures that a homebuyer is thoroughly informed as to the condition of the home prior to purchase. You can expect the process from offer to closing to take approximately 4 weeks, shorter if you’re a cash buyer. If you have any questions about the process or would like assistance in beginning your search, please contact Re/Max at the Beach at 910-842-8686 or toll free at 800-360-9770. We look forward to working with you. When you’re pondering a relocation to a coastal area, consider what we have available in the South Brunswick Islands of North Carolina. There are over 250 homes for sale in Ocean Isle Beach at this time, many of which would make perfect forever-after homes for you and your family. We have Ocean Isle Beach homes for sale that range in price from $49k to $2.4M. You don’t have to sink all of your savings into a home in order to live by the beach. With many homes in the $50-100k range there’s a large selection from which to choose that retirement home you've been hoping to find. Come take a closer look at the homes in neighborhoods like Branchwood Bay, Ocean Haven, Lakewood Estates, Ocean Aire Estates, Twin Oaks, Sea Village, and Lang Acres that we'd be happy to show you. But if what you’re after is a palatial estate sitting oceanfront and offering up panoramic views from every window, we have you covered. Luxurious homes in Islander Resort, Ocean Isle West, Tarheeland Acres, Bent Tree Plantation, Ocean Isle Beach mainland and on the island, await their new owners. Spacious homes boasting 6,000+ sq ft provide 8-10 bedrooms and will hold your entire family plus some. Just imagine 1,800 sq ft of porch where you can rock away the afternoon watching boats go up and down the Intracoastal Waterway. Homes in gated communities offer you all the security you would expect. Upscale coastal homes offer gourmet kitchens, top-of-the-line commercial appliances, marble countertops, dockage with decks and boat lift, swimming pool, tennis courts and more. No matter what type of Ocean Isle Beach real estate you’re looking for, give Re/Max at the Beach a call at 910-842-8686 or 1-800-360-9770 and let us help you find your next home.